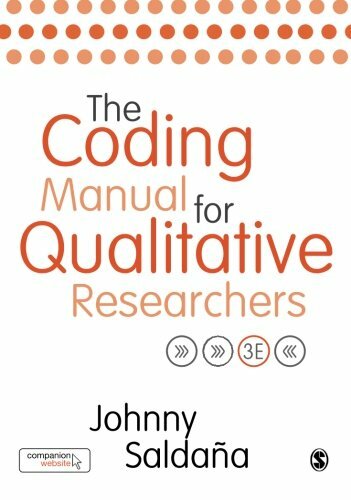 Its wide array of strategies, from the more straightforward to the more complex, is skillfully explained and carefully exemplified providing a complete toolkit of codes and skills that can be applied to any research project. For each code Saldaña provides information about the method’s origin, gives a detailed description of the method, demonstrates its practical applications, and sets out a clearly illustrated example with analytic follow-up. Click here for a listing of Johnny Saldaña’s upcoming workshops.